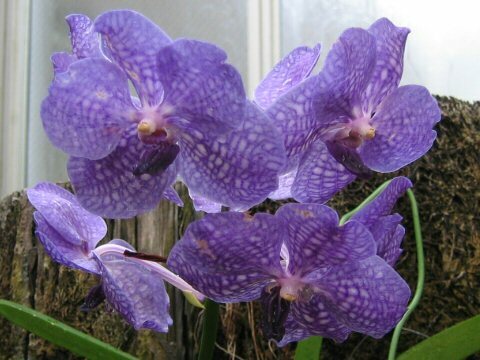 The Vanda orchid (Vanda sp.) 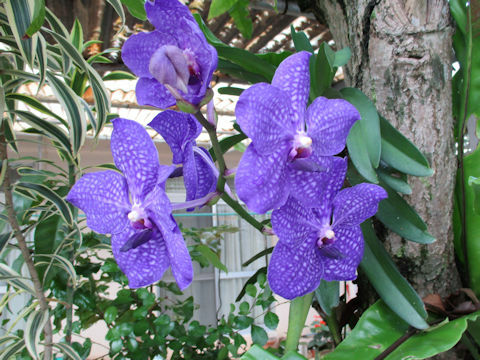 belongs to the Orchidaceae (the Orchid family). It is an evergreen herb that is distributed mainly to South-eastern Asia, as well as India and northern Australia. There are about 70 oeiginal species. It has not a pseudo-bulb. This herb bears many aerial roots from solitary stem and grows on trees or rocks. It is characterized by net patched petals. The numerous cultivars have been selected. 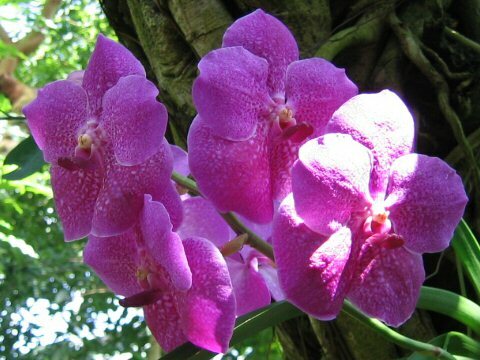 The ganus name "Vanda" is derived from Sanskrit　"vandaka" (parasitical plant).